How do you cook your meat? In a skillet? Perhaps some kind of nice propane grill? PUT DOWN YOUR BUGGY-WHIP OLD MAN! 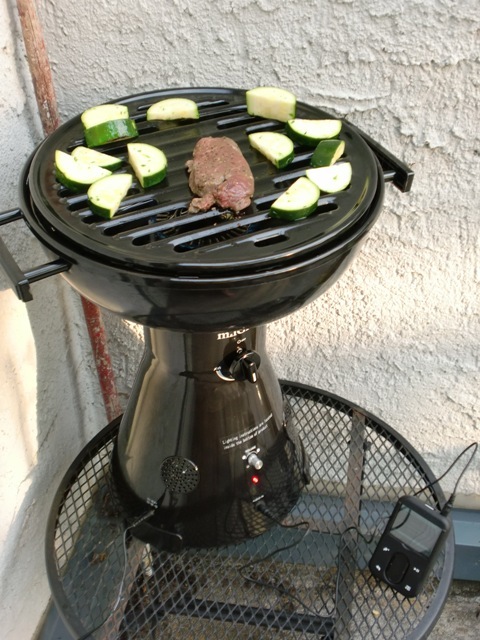 …A GRILL THAT IS ALSO AN MP3 PLAYER. What the??!! Is that zucchini next to the steak? It sure is. Grilled zucchini is badass. Especially if you toss it in Wegmans basting oil. It won’t be a record player.